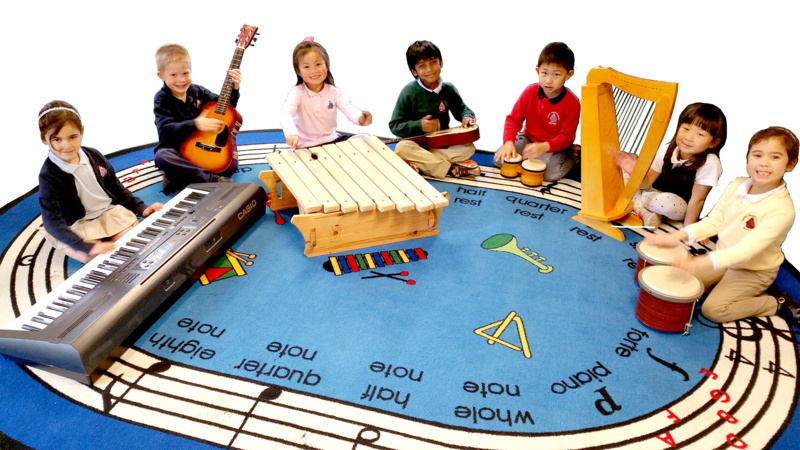 The mission of the music program at Centre Square Montessori School / Centre Square Academy is to provide students with a well-rounded musical foundation. In accordance with Dr. Maria Montessori’s belief that music in early childhood is a critical aspect to a child’s development, weekly music class is offered to all CSMS/CSA children. Toddlers enjoy group sing-alongs, dancing, rhythms and instruments. Pre-K students learn how to find their voice and begin understanding pitch awareness. They are also introduced to musical vocabulary, solfege singing, instrument families and famous composers. Adequate time is allowed for self-exploration using our large selection of percussion instruments. The Kindergarten and Elementary classes meet for music two days per week. The Centre Square Academy music program is designed to meet PA State Standards. In addition to general music and choir, students are introduced to music theory and note-reading, music history, the recorder, xylophone ensembles and hand bell choir. The Kindergarten and Elementary classes perform in two school concerts throughout the year. When opportunity allows, students are invited to participate in extra-curricular musical activities. In the past this has included singing the National Anthem on the field at a Philadelphia Phillies game and being a B101 Christmas Choir Contest finalist on the radio.